What is East Coast Stamina? 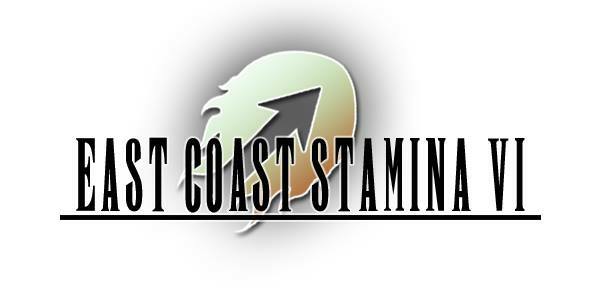 East Coast Stamina (ECS) is a high level competition centered around a selection of the most difficult custom content available for In The Groove, a four-panel dance simulation game along the lines of Dance Dance Revolution. It has been an annual tournament since September 2011, eventually becoming a biannual event starting with ECS2.5. East Coast Stamina 6 will be held November 17th-19th at the Harrisburg East Mall. Historically, the tournament has generally consisted of a “marathon” (a mix of songs usually roughly an hour in length), and then a timed set where players could choose songs from a preselected list, where the songs are assigned point values based on their difficulty in addition to the scores the players obtain on them. ECS4.5 and ECS5.5 have added team play as an aspect of the format, but the mainline ECS tournaments– 1, 2, 3, 4, 5 and the upcoming ECS6– have all focused on one individual competing against the other entrants to achieve the highest score possible on the marathon, and also to gain as many points as possible in the timed set. Who are the competitors this year?